We invest in specialist arts teachers for students aged 3 to 18 so that all can dvelop a love of the arts. The Fleming Gallery is a vibrant part of the TASIS community. 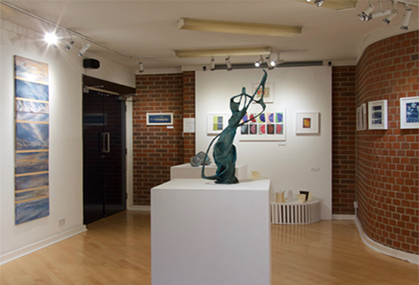 Designed as a teaching gallery, it exhibits a wide variety of art work by both students and visiting artists. The annual All-School Art Exhibition celebrates creative work by Lower, Middle and Upper School students including 2-D and 3-D projects. The Visiting Artist Program brings established artists to campus and hosts an exhibition of their work, including photography, sculpture, installation and drawing and painting. Students engage directly with the artists through gallery talks, presentations and practical workshops enhancing their learning experience. The gallery also presents opportunities for TASIS alumni working in the arts to return to the school and share their creative practice. Fleming Gallery events are free and open to the public.